Taken by numbers, pesco-vegetarians had a 27 percent lower risk of developing colorectal cancer than strict vegetarians and an incredible 42 percent lower risk than those who eat meat! 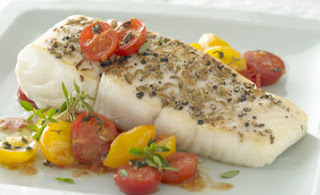 Scientists suspect that this difference is due to the presence of omega-3 fatty acids that fish are so rich in. These fatty acids have, in multiple studies, shown to decrease cancer risk due to their anti-oxidant and anti-inflammatory properties.